Linda interviewed Christopher Schwarz for the People Profile column in Sharp & to The Point, the Hock Tools newsletter. Because she did not want to edit out all sorts of interesting material, it became too long for the newsletter format. So, I’ve placed the entire interview here on the blog for all to read. If you would like to subscribe to Sharp & to The Point, click here. Christopher Schwarz and his wife Lucy May are two of the three founders of Lost Art Press (publishers of the popular Anarchist's Tool Chest), a small publishing company working to restore the balance between hand and machine woodworking. Christopher is the former editor of Popular Woodworking Magazine where he worked between 1996 and 2011. He is now a contributing editor to The Fine Tool Journal and has produced several DVDs in conjunction with Lie-Nielsen Toolworks on traditional woodworking skills. Linda: What is Christopher Schwarz up to these days? It wasn’t that long ago that he was a big-time editor bringing new attention to a special interest woodworking how-to magazine and enjoying the fruits and demands of fame. Why the change and how’s it working for you and how would you describe the difference in your day-to-day? Chris: Well it is a surprise to me that I lasted as long as I did at Popular Woodworking. Editor-types in the magazine business as a whole are regularly shown the door. Plus, I’ve never been keen on working for a big corporation. Before I came to Popular Woodworking I ran my own newspaper, which eventually failed, by the way. So Popular Woodworking was a great job, probably the best one I’ve ever had. But after becoming editor, I realized that I didn’t want to move up the corporate ladder anymore and become a planner and a delegator. All I wanted to do was build, write and publish stuff on traditional woodworking. And I wanted to do things in the best way possible. So Lost Art Press was born in 2007, as an outlet for those urges. It grew a lot faster than we ever intended – we were putting the brakes on it to keep from upsetting Popular Woodworking. The Lost Art Press logo. The coup de grace came in May 2011 when my Uncle Tom West died (http://en.wikipedia.org/wiki/Tom_West). It hit me in a surprising way. I decided to leave the magazine and do my own thing. Despite the fact that it is my “own thing,” my life is pretty much unchanged. I build, I write, I research, I teach. But I do it from my house, at all hours and in decidedly non-corporate clothing. A place to do one's own thing. A view of Christopher Schwarz's shop. Linda: As an editor at PW, with a ready niche readership in a world dominated by power tools, you made an impact on woodworking through your focus on what happens at the bench, the bench itself and, most notably, on the use of hand tools. Your focus brought a renewed respect for hand tools, which provided an important “microphone” for the voices of contemporary hand tool manufacturers. If you were to continue advocating hand tools, how would you do it now and, as a woodworker, what is it you find so compelling, so satisfying about using hand tools and then speaking their praises? Chris: Well I still do advocate hand tools and only hand tools – that’s the only mission of Lost Art Press. We will never do a book on electric routers or table saws. And we will never step outside the craft of woodworking. The goal of this little company is to create a core set of books that will be a foundation for all of us to stack bricks upon. Ready for work; the essential handplane. What do I like about hand tools? As a kid I hated hand tools – that’s all we had when we were building the houses and fences on our farm. And I was prohibited from using the power equipment in our shop in town. I was forced to use hand tools. All I wanted for Christmas was permission to use the radial arm saw – it never happened, thank goodness. When I dove back into the craft after college, I had all my grandfather’s machinery and 1960s-era power hand tools. I quickly realized that I really disliked dressing up like I was cleaning up a Superfund site to do something so intimate and tactile – it was like wearing a giant body condom (sorry about that). After I mastered the machinery basics to understand them for my job at the magazine, I was able to stop using them – thanks to the early days on our farm. Linda: How would you describe the network you have created for yourself as a woodworker, a writer, a publisher, a general bon vivant with kids in school? Chris: We are the nerds. But we are also the nerds who have skills. Linda: How did you, Lucy May and John Hoffman begin Lost Art Press. What were you three thinking and how did you begin? What is so important about “saving” a craft anyway? Lost Art Press founder number 3, John Hoffman. Chris: Lost Art Press started because I needed an outlet for the crazy fringe stuff I wanted to publish – stuff that Popular Woodworking would never touch. Plus, I really wanted to get back into guerrilla publishing after having failed at it before coming to Popular Woodworking. Plus, I have always been afraid of being fired from my job, so Lost Art Press was a safety net. Why save a craft? At the beginning of the 19th century, almost everything was made using wood and by hand. By the end of the century almost everything was metal and made by machine. Some might call that progress, but I think there is a lot of important and lost knowledge that needs to be reclaimed and retained. Working with hand tools isn’t like doing machine work. They are fundamentally distinct crafts, and I won’t say that one is better than the other. But I will say that working wood with hand tools allows a precision that machines cannot give you. It is not slower if you are building only one piece of furniture (as opposed to 100 pieces). And it allows an intimacy with the most important material to human civilization (that’s wood, by the way). Notice the Hock Blade fitted into Chris's Stanley #5-1/4. Linda: What is the big difference between power and hand tools — if power tools can be efficient, do the job and get out the product why can’t we just let go of hand tools and move on into the future? Aren’t hand tools sort of like books? The world is changing; shouldn’t we just get over it and make sure to have enough electric panels and 220 in our shops? How can the product be so materially different? Chris: The big difference is skill. Running stuff through a table saw and a router requires little skill or training. But it also requires you to engage in absolute drudgery – called power sanding – to make the wood look acceptable. If you are willing to learn to sharpen, which is the gateway skill, then you will discover that woodworking is a tactile, sense-flooding experience. Not just the roar of machines. And you wondered where that “A” came from, eh? Don’t get me wrong, the wealth of our nations is the result of specialization and industrialization. But I think things have gone too far. There is no reason that anyone building furniture at home should have to imitate industrial processes to turn out a piece of furniture for their family or friends. It’s the same with books. E-books don’t have a smell. They all feel the same. They all look pretty much the same. They are the same size. The “ink” leaves no impression on the “page.” They are not a book. They are something else. Not better; not worse. Same with hand-tool woodworking. It’s a different country. And it’s a lot of fun to live there – or visit. Linda: So, what’s all this talk about campaign furniture and how is the full-blown campaign secretary by March 15 going? I read about it in your blog post, Today, I Made a Stick. Please tell me all about it. Chris: I’m working on two books right now. One is on campaign furniture, a much-neglected style that I think many woodworkers would fall in love with. My grandparents had several pieces of it, and my grandfather built several reproductions of campaign pieces. So I’ve always been crazy for it. And it’s not just furniture of war. Campaign furniture was called “patent furniture” in the day and was part of the fabric of life in England and Europe. It was the furniture you would take camping or traveling. The other book is tentatively called “Furniture of Necessity,” and it is stupid, insane and entirely ill-advised. I’ve been working on it for a couple years now and it seeks to change woodworkers’ taste in furniture. It’s hubris to even think I can do this, and I expect to fail spectacularly. But if I don’t try, then I definitely will fail. 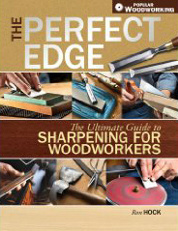 This book is, at its heart, the end game for the workbench book. Sorry to sound cryptic; that’s not my intent. It’s just too wild to even really discuss without writing a whole book, I guess. Campaign Secretary in progress. All is revealed at lostartpress.com. Linda: Do you ever run out of energy and why are you keeping yourself so busy? Am I e-mailing to one of your clones? Chris: I think about furniture, woodworking and writing all day and every day. So I don’t feel like I’m busy at all. And I don’t ever feel tired of the craft – it is an almost-infinite territory to explore. And we have only so many years to do it. ***An Extra Tidbit: Chris told me that he is frequently asked if he is an anarchist, which actually surprised me. I presumed that he used the word anarchist in an emblematic way, or as metaphor; certainly not literally. Perhaps these people really meant, “Are you an idealist?” You know, in some way making the connection between idealist and change agent. I could understand a popularized likening of Christopher Schwarz to 19th English culture and social reformists John Ruskin and William Morris. But, Christopher Schwarz an anarchist? Chris: The answer is yes. But I don’t consider anarchism a workable philosophy to build a society upon. It is, instead, a tendency – a personal backlash against the consolidating forces of government, corporations and institutional religions. To my eye, capitalism has succeeded beyond its wildest dreams in making nations richer and labor more specialized. It has gotten to the point where these large institutions do inhumane things. So I don’t vote. I don’t go to church. I don’t buy much of anything except food. And what I do buy is from small family-run businesses. I try to make what I need. And if I can’t make it, I try to trade my labor for what I need. 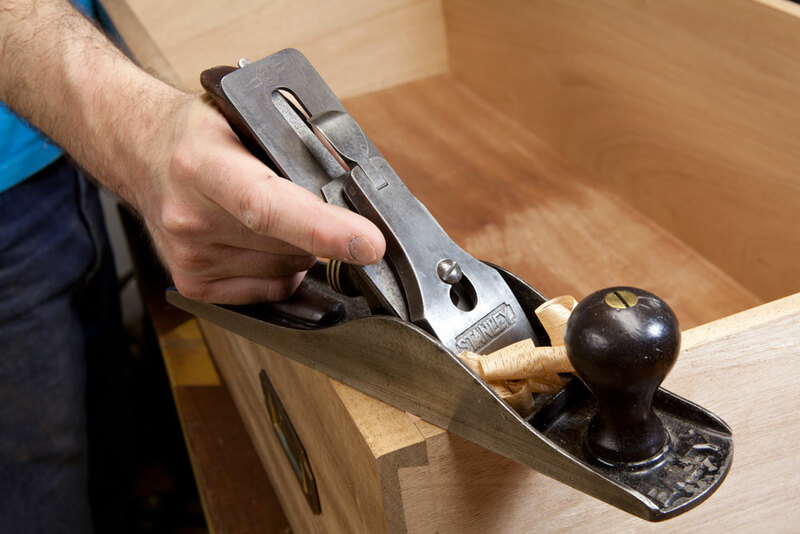 This dovetails (sorry for the pun) with the woodworking culture. I buy my tools from individual makers whenever possible. Same with wood, glue, hardware, nails, you name it. An anarchist's tool chest, ready to use in the shop or on the road. But most of all, I seek to make things with my hands that never need to be replaced. For me, that is the ultimate statement of my anarchism – breaking the cycle of consumption and mass-production by making things that are designed to endure time and transcend style. Whew, that sounds like I’m political. I’m not. I also like fart jokes. Great interview. Thanks for the effort and the fine presentation. How did Christopher get such a beautiful wife 😉 Seriously, great interview!! Great interview! I remember some of those farms days building the cabin, they were fun. Beautiful work Chris. Christopher–I so enjoyed reading this interview and the insight into your life! You and your wonderful family are amazing!